Please enter the total quantity and weight, followed by the dimensions of the item/(s) you are shipping. Select 'add another item' if your items are of different dimensions. Enter the total quantity and weight, followed by the dimensions of each piece. Use item description to tell us what you are shipping.Select 'add another item' if your items are of different dimensions. 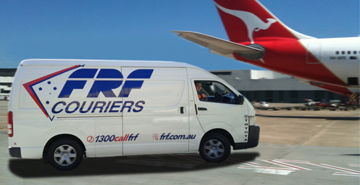 Select either our 24 hour, 5 hour and 3 hour service. All times are calculated from the ready time and ready date. 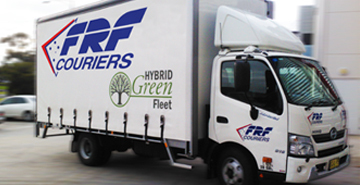 Choose either Air (available < "250kg") which is an overnight service to all capitals or Road which ranges from a 2-7 day transit dependent on location. Times calculated from ready date and ready time. Select your item from the drop down list. If your item is not in the list, simply select �other�. 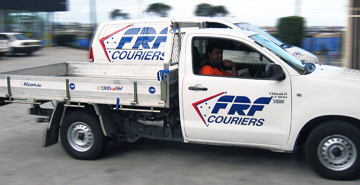 FRF Couriers offers a wide range of services for your interstate transport.